Plot 13 at the Fellowship goes well. Thanks to the very generous of several bags of well-aged sheep manure from Kathy, a friend of Jenn and Misty, went a long way to help our lasagna garden along. I want to take the time to say thank you to her here. Tom has grown a lot of plants from seed. To be often, they were ready to be planted. 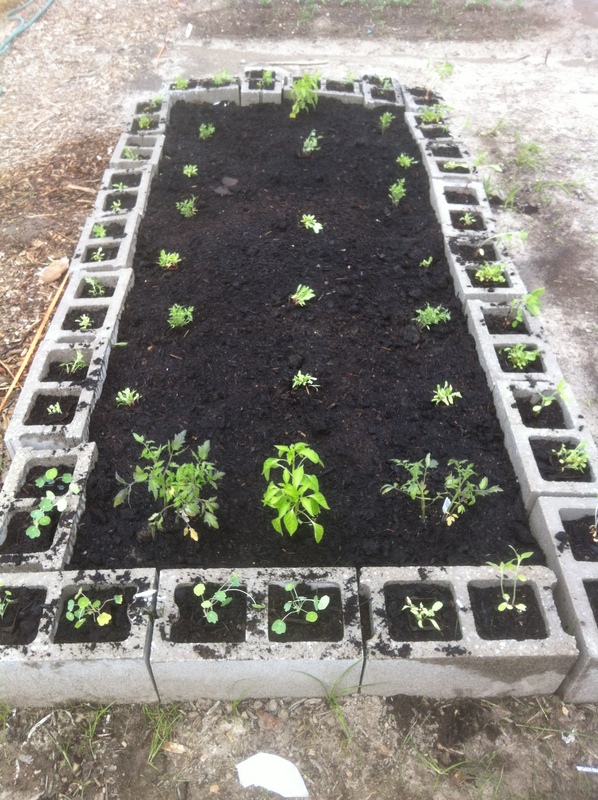 I did cheat a little, just to make sure the plants didn’t die or get sick because they needed more room to grown in. I got a few bags of Miracle Grow Organic Soil to top the plot off. Next year, I will start sooner with the plot. At the very least, I will have some compost going earlier in the year for any topping off that needs to be done. 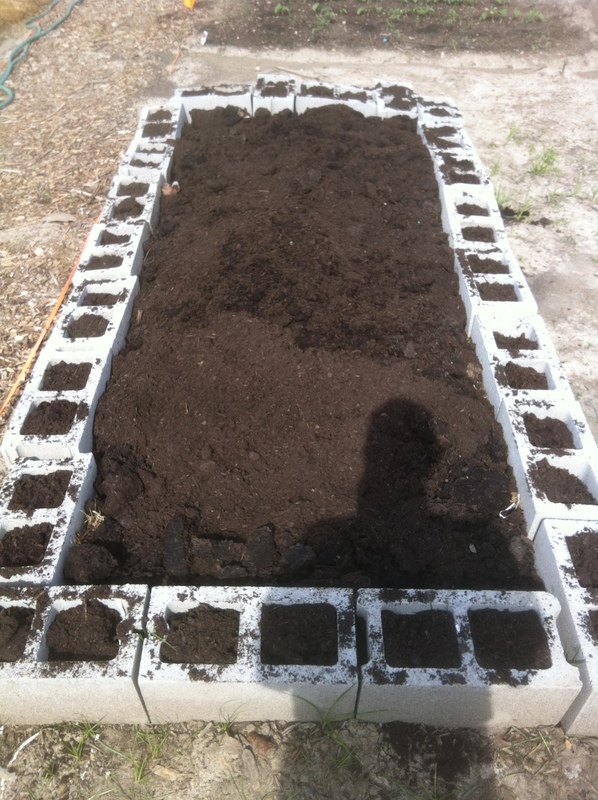 We planted greens, tomatoes, broccoli, and bell peppers. We also painted some flowers that are meant to repel pests, along with some sunflowers. Mainly, because they are pretty and will hopefully attract pollinators. The flowers are in the spaces in the grey block. The vast majority of the vegetables are in the main plot space, although a small number are in the grey block spaces. 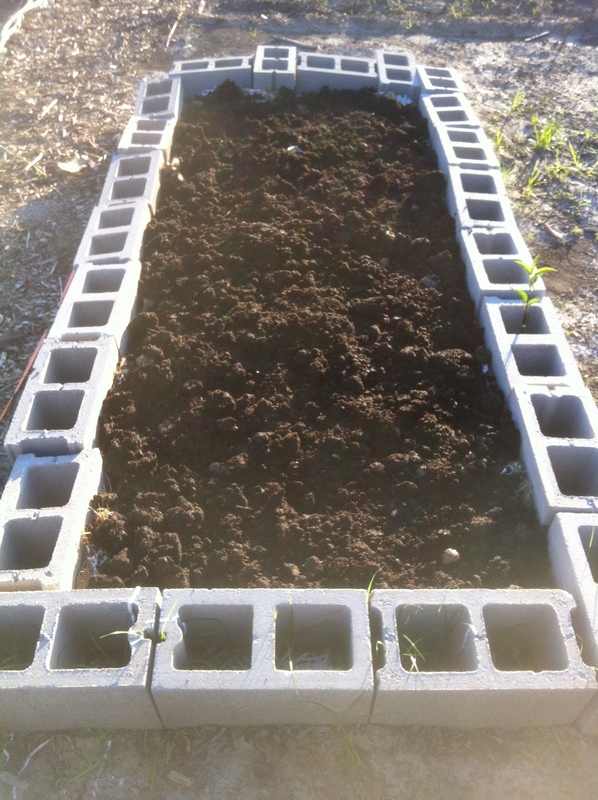 If all goes as planned, the grass and paper layers of the lasagna garden underneath will turn into soil as the plants grow. All food will be donated to the Russell House. We will keep you guys in the know. 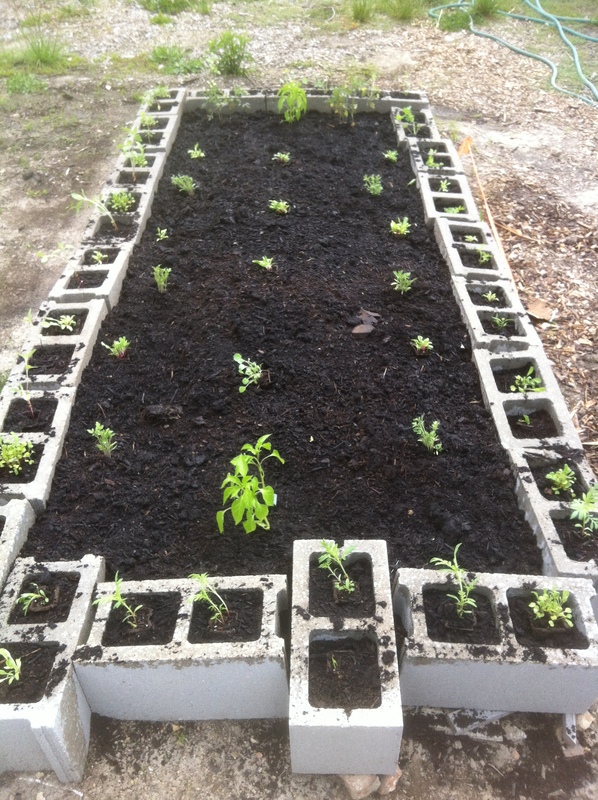 I also want to thank Misty and Diane for introducing us to lasagna gardening and to planting from seed. It is a really cool and sustainable way to grow food. We appreciate it.